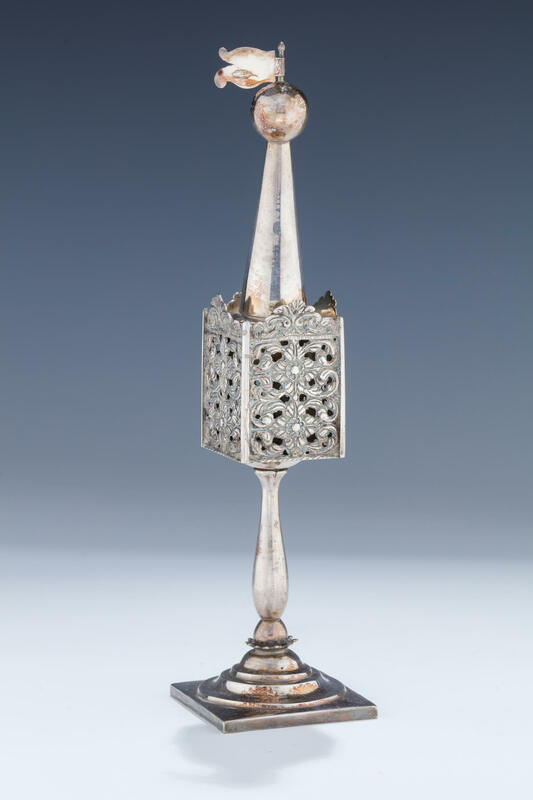 AN IMPORTANT SILVER SPICE CONTAINER. Poland or Germany, c.1800. On square base with reverse skirt mounted to a baluster shaped stem. Upper portion hand chased and cut in scrolling design. Topped with a ball and a dolphin head flag. 10” tall.